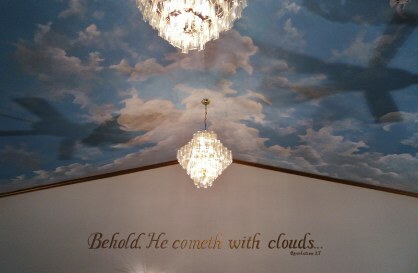 Ceiling Mural at the Cathedral of Deliverance in Fruitland, MD Cathedral of Deliverance. 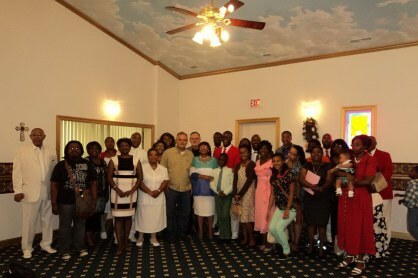 Fruitland, MD. 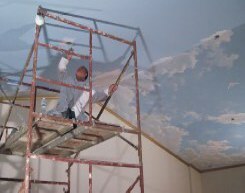 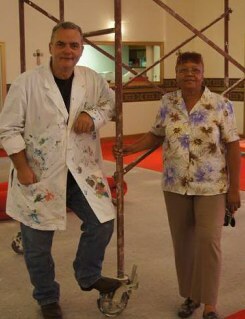 On this page I have placed several pictures of the ceiling mural I painted at the Cathedral of Deliverance in Fruitland, Maryland. 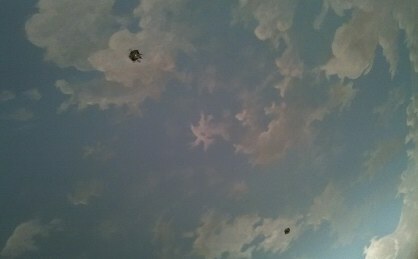 The mural is finished now and I encurage you to visit the Cathedral if you can. 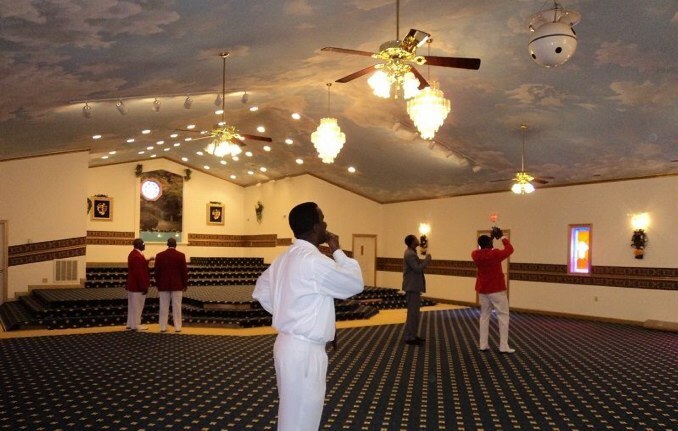 Members of the congregation admiring and taking pictures of the ceiling.Fruitland, MD. 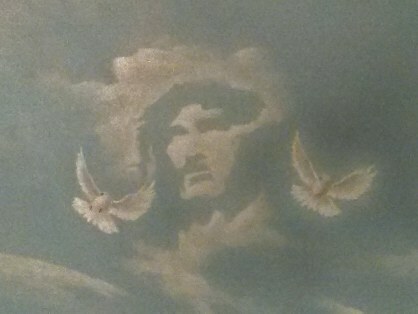 Segment of the ceiling mural at the Cathedral of Deliverence. 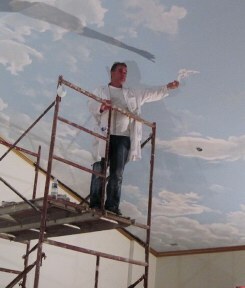 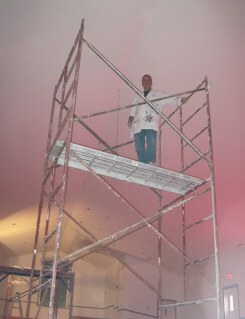 Artist Jesse Demolli in action.